Cheongpyeong Heaven and Earth Training Center is located in the town of Seorak of Gapyeong country in Gyonggi provice of South Korea. This is about 90 killometers northeast from the capital, Seoul, and it is a 1 and a half to 2 hour drive from Incheon airport to Cheongpyeong Training Center under normal traffic. 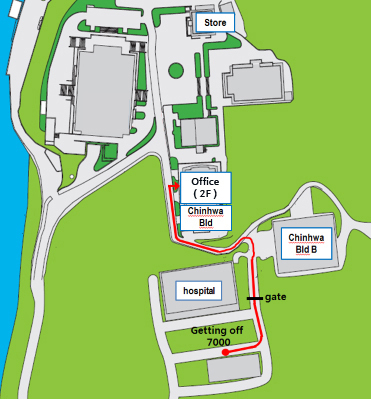 Please make sure you know how you will be getting from the airport to the training center before you leave your country. Kimpo Airport. Please make reservations with Seil Travel directly. 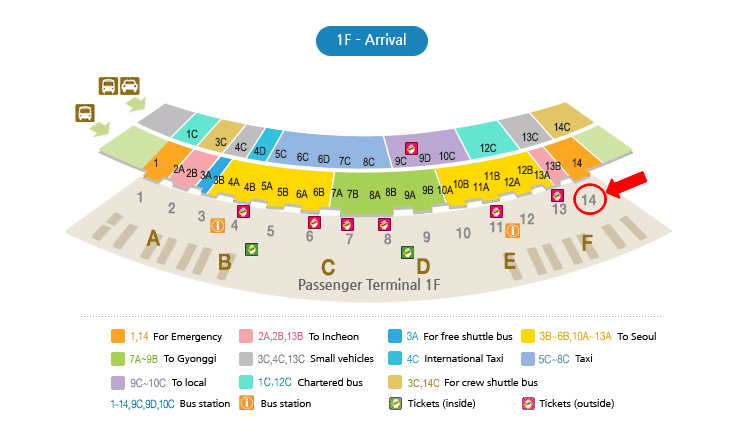 If you make a reservation with Seil Travel, please go towards Exit #14 to find your taxi driver or Seil Travel staff to guide you to the bus. After coming out of the passenger terminal, walk to the very far right. They will be inside the building, so please don’t go outside. Taxi fee: 160,000won (Can be shared with up to 3 people. Please prepare won for the payment) There are taxis that you can catch on the spot at the airport, but some drivers may not know the way well, and they might charge you much more than necessary. Also, it is not safe for young women to take a random taxi on their own, especially since it is a long distance ride. Bus fare: 30,000won for one way and 50,000 won for round trip. (Please prepare won for the payment) These buses are slightly more expensive compared to when you take public transportation, but they are much more convenient, especially if you are travelling with small children, have a lot of luggage, or the weather is bad. Buses are not provided every day, but mainly on the days when many members will be coming to or leaving Cheongpyeong. Get off bus #6006 and cross the road to take bus #7000. 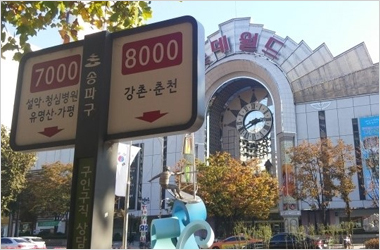 Some #7000 buses don’t go all the way, so make sure the bus goes to “Cheongshim Byeongwon.” This is where you need to get off. The fee is 3,400won, and you pay directly to the driver. Please make sure you have small change. Get off the limousine bus and take a taxi waiting on the street. The fee is 25,000won. 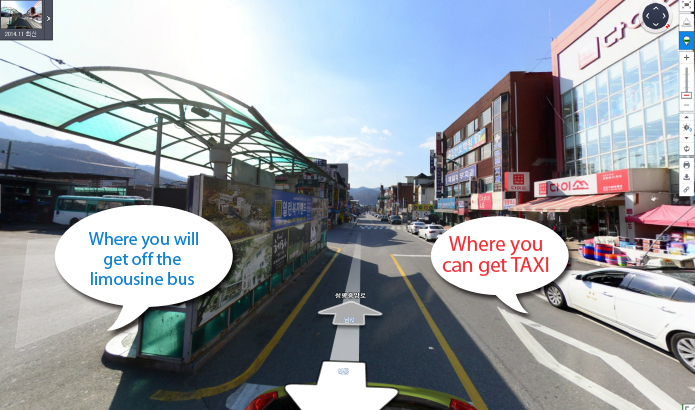 If you say “Cheongpyeong Soo Ryeon Won (training center)” all taxi drivers there know.